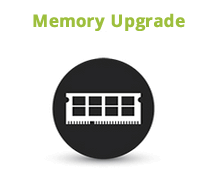 iMac Memory Upgrade on your iMac is a quick and economical way to get extra power out of your machine. Adding extra RAM to your iMac will make multitasking much quicker, opening programs will be faster and even webpages will render faster in your browser.We recommend upgrading your iMac to the maximum amount that the motherboard will take, 8GB or 16GB or 32GB depending on what model iMac you have. We are a true nationwide provider of iMac Memory Upgrade, Laptop professional repair services as well as iPhone repair. Besides repairs at our iMac Upgrade services, Laptop repair, PC Computers and laptop repair service center in Bellville Cape town, we have upgraded iMac memory for customers all over South Africa including Johannesburg, Pretoria, Durban, Kimberly, Bloemfontein, Port Elizabeth, Polokwane, Pietermaritzburg and Nelspruit plus many other South African cities. Would you like to ask one of our technicians a question before you bring in your iMac? click here to chat now or call us at 086 722 776 4. If you would like to use our professional iMac memory upgrade services but don't live close to our iMac repair service center, click here for information on sending us your iMac for professional repair through our express courier service. We can install new memory in your iMac in about an hour. The service price includes the labor to install the memory modules. The price of the RAM is not included in the price.We may give you a friendly quote according to the memory size you need. Your iMac will be fully checked BEFORE the repair in order to detect any other problems it may have. We will professionally remove the damaged part from your iMac and fix it or install a new one.